Is that the one with the Harmonic control? I was looking at the circuit for the HH 100L last night and it turns out that the Harmonic (dirty) side was putting the signal through an FET, just like the VS series, except you have that blend option between clean and dirty. Yeah, Sloan's had fun with bad effects loop sockets too. Lolz, why is this its own topic now? Doesn't have a control for 'Harmonics', the dirty channel is just Level and Distortion I think, and you can mix the 2 channels together! It's got a load of really decent features (2 FX loops, switchable on each channel). 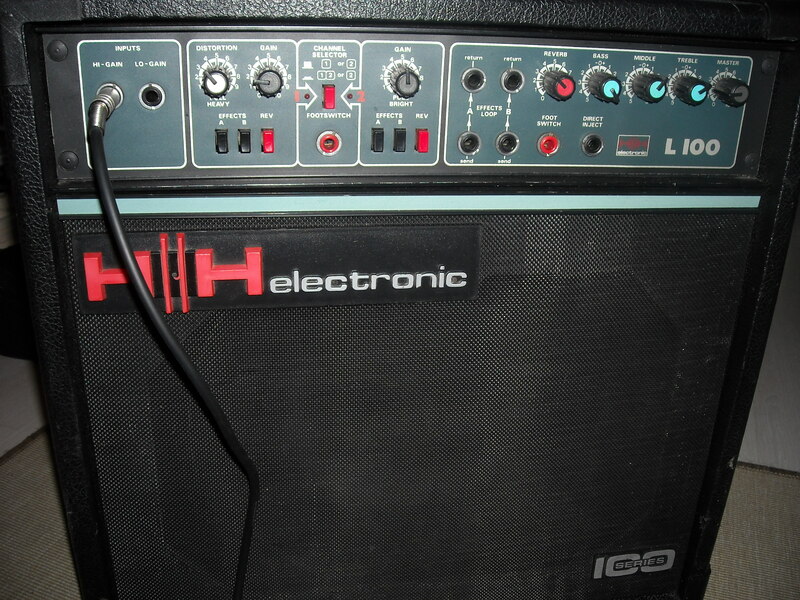 I think the thing I actually put a patchlead in is just a send-return loop, for slaving to other amps etc. I actually really like the distortion, I think its MOSFET based? Would love to own a head version of this, the combo weighs an absolute ton. I thought it deserved its own thread, not being about my JTM, although I suppose I could rename it "Dodgy FX loop thread"
Ah, I was confusing it with the IC100L (Lead) which has the "Harmonic" blend control. I think those are the 'classic' models, probably used by some people of note (that's normally the only reason).